One of the best things about New York City is the seemingly never-ending plethora of boutiques and other shopping venues. Looking for a shiny new addition to your collection? Read on to discover ten must-explore unique jewelry shops in NYC. Handcrafted in New York City, every piece at VERAMEAT looks as though it could be a sculpture in an art gallery. Vera Balyura, the mastermind behind it all, uses fine materials such as 100 percent recycled sterling silver and 14-karat gold to craft beautifully whimsical and undeniably cool ‘keepsakes,’ worn by the likes of Amy Sedaris, Miranda July, Michel Gondry, Kyp Malone, and Tilda Swinton. From dinosaurs to disembodied hands and anatomical structures, each piece makes a unique statement that is bound to spark conversation wherever you go. Feelings of wanderlust and an appreciation of artisanal craftsmanship define this homey Nolita boutique, with an eclectic mix of new and vintage jewelry as well as homewares. Informed by years of travel on the part of Lori Leven, the collections feature splurge-worthy rings, necklaces and bracelets from different designers around the world. Love Adorned is the sister shop of the East Village tattoo parlor, New York Adorned. 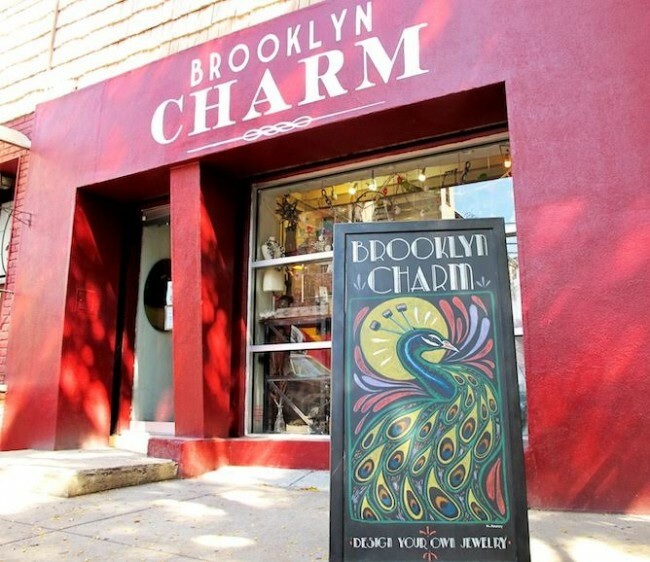 At Brooklyn Charm, each customer is able to create their own unique piece of jewelry, choosing from hundreds of chains and thousands of charms. Pieces can be made at the store or customers also have the option of taking supplies home with them. The store houses rare materials from around the world and also hosts a variety of jewelry-making lessons for those looking to get crafty. Caitlin Mociun displays her jewelry at her namesake Williamsburg shop, alongside artisan-made ceramics, in an open, airy space with the feel of an art gallery. Mociun is known for its unique stone cluster rings, often using rare gems and antique diamonds, and all of the pieces are made locally in New York City. Customers can also request a design consultation with Caitlin to have a piece custom made. Established in Los Angeles, Broken English recently expanded to New York City, opening their first store on the East Coast in the back of the All Saints’ SoHo location. In keeping with the aesthetic of its adjoining store, the space has an upscale industrial feel, which beautifully showcases vintage finds as well as contemporary pieces from a curated selection of designers including Anita Ko, Colette, Inez & Vinoodh and Pamela Love. Founded in Williamsburg in 2004, Catbird has quickly become a neighborhood favorite. All of its namesake jewelry is produced locally in its Brooklyn studio using recycled or fair trade gold. The line features simple, clean designs with small diamonds and cute motifs. 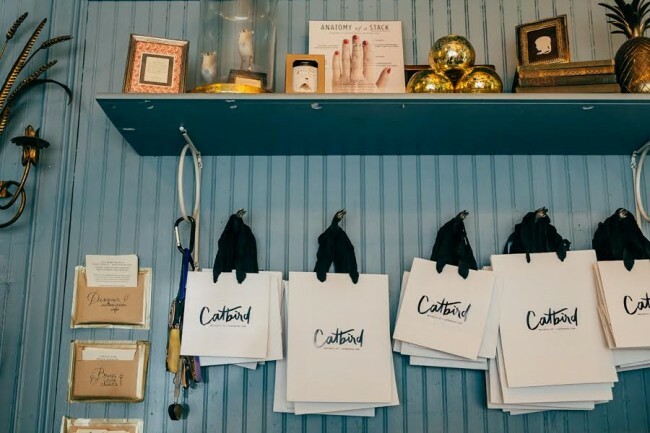 In addition to Catbird jewelry, the boutique also sells pieces from other designers around the world as well as beauty and home goods. 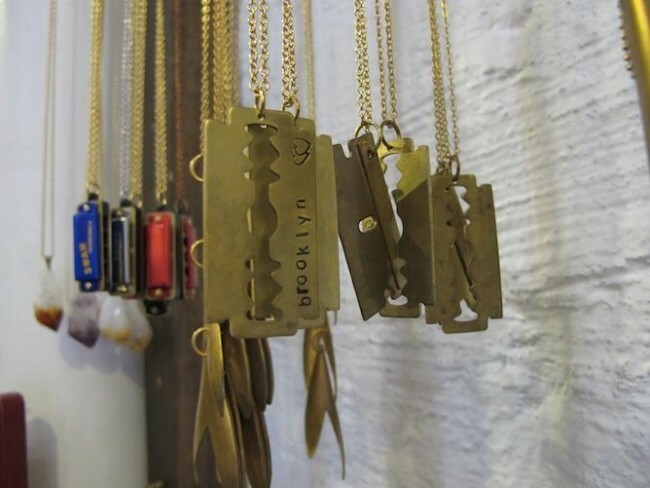 From the inception of IGWT, all jewelry has been produced out of Brooklyn behind the Greenpoint storefront. Popular items include customizable necklaces, rings and bracelets that can be engraved with the letters or words of your choice as well as minimal stacking rings and cuffs. 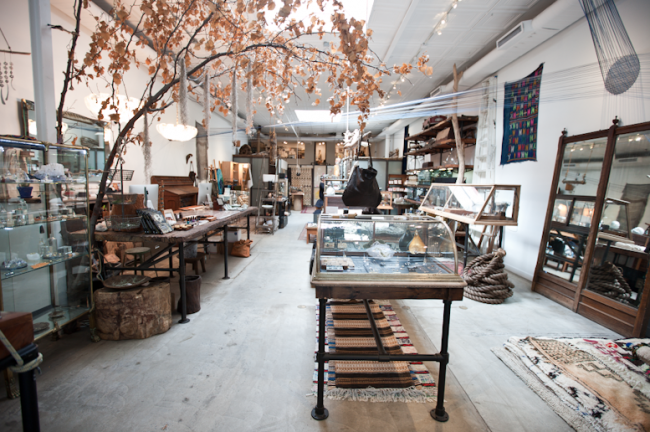 The store’s industrial interior is warm and inviting, and with three locations in NYC, it is easily accessible. At her Nolita store, Erica Weiner launched her original namesake collection in 2005, which features playful pieces such as cicada earrings, bottle opener rings and a handcuff lariat all for under $200. In 2010, Erica added the 1909 collection featuring antique diamond rings, which have garnered a cult following. The store also has a collection of antique fine jewelry collected from destinations all over the world. In 2013, Erica opened her second location in Brooklyn. Scosha’s Williamsburg location is also home to its in-house production team of artisans who craft everything by hand. Inspired by the founder’s world travels, the pieces are made using ancient techniques for metal smithing, stone setting and weaving and combine textiles with precious metals and stones, putting a unique spin on fine jewelry. Each piece you find at Melissa Joy Manning is handmade domestically in either New York or California, making each one slightly different and unique. The pieces crafted in California are also all Green Certified and made from recycled sterling silver, gold sourced from a Green Certified refinery or raspberry nickel leftover from shuttered U.S. zipper factories. Melissa incorporates upcycled stones and antique tribal and reclaimed charms into the pieces whenever possible, and the results are incredible. Stop by one of the two NYC locations in Brooklyn and SoHo and prepare to be blown away.